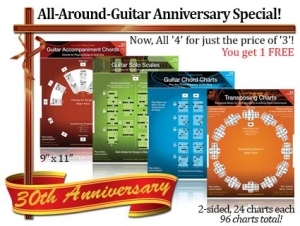 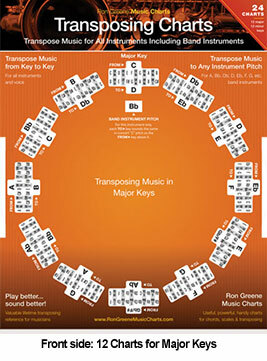 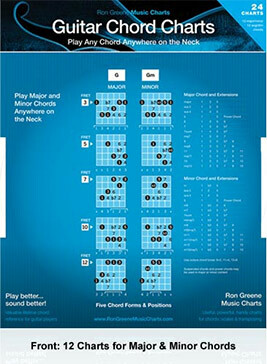 Instantly shows you 8 accompaniment chords used to play great sounding keyboard accompaniment in each key for all styles. 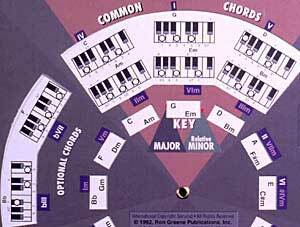 The most commonly used chord forms/positions are shown. 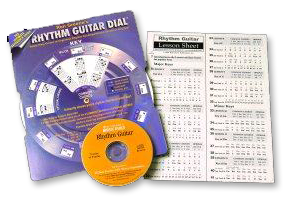 The front of the dial also shows a complete circle of 5ths/circle of 4ths in each key. 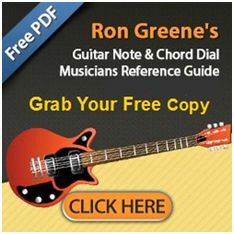 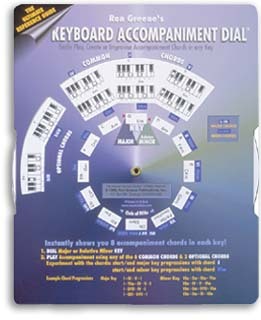 The Back of the Dial is loaded with information and tips about playing keyboard accompaniment chords, chord extensions, inversions and a diagram showing all the notes on the keyboard.